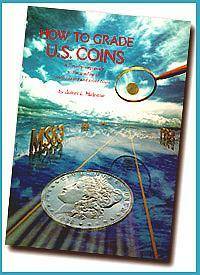 If you're comparing books which consist of only grading standards, you'll probably reach the conclusion that, this book is the best for the grading of Mint State coins. It's the only grading standards book which defines a precise formulated standard for the grading of Mint State coins. Make sure to visit this web page and bookmark it to your favorites. You can use this online guide free, so make sure to refer to it often before buying coins.